What Do We Tell Our Kids When the News Is Filled With Profanity? It is always with a bit of trepidation that I turn on CNN these days. But nothing could have prepared me for the mess I had to witness last week as Anderson Cooper interviewed New Yorker journalist Ryan Lizza about his conversation with Anthony Scaramucci. 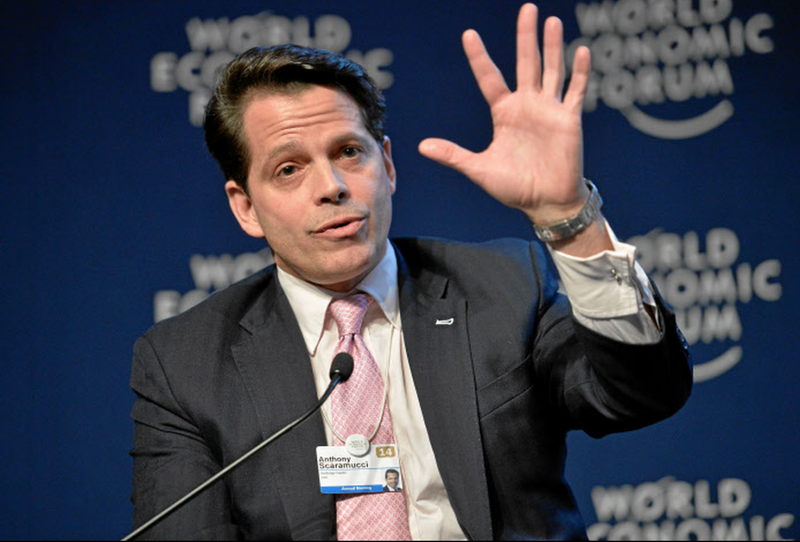 Just 10 days after he was hired, Scaramucci’s tenure as communications director for a flailing White House came to an end. But I can’t un-hear the disgusting language that sprang from that man’s sick soul, as he unleashed a tirade of filthy insults at his enemies—in the same way that I can never un-hear the current president’s horrific words when he bragged about groping women. And I’m worried about what my kids will be hearing when they are old enough to listen to the news. We can’t bury our heads in the sand—we have to find a balance between awareness and the instinct to look away. Ever since our current leader announced his candidacy for president by smearing Mexican immigrants, I was ready to turn off the TV. I refused to watch news coverage about him during that time because I truly believed that if you ignore a bully they will go away. But, collectively, we gave him all the attention he desired and demanded from us. And now he is in the spotlight more than ever. Since recovering from the horror of the election, I have been very aware of how the news affects me. Even though it’s hard to keep up when so much happens in a 24-hour news cycle, I do follow the news (thank God I have a source of catharsis in Stephen Colbert). But as I watched the interview with Ryan Lizza, as he calmly reported the expletive-filled garbage that he had to listen to on his phone call with Scaramucci, I felt a new level of gross. Just hearing those words (even when bleeped out!) felt like a violation. It’s not that I never curse; I have certainly thrown out some choice expletives in my time. It’s just that public figures like those in the White House—particularly those we expect some sense of dignity from, some sense of basic decorum—should be held to a higher standard. When you speak in public, when you represent the highest office in the country, you should at the very least sound civilized. I had to turn off the TV in the middle of watching that interview. After all, I had intended to watch the news, not a reality TV spectacle. But the news these days has all but merged with reality TV (unsurprisingly, as reality TV gave us our current president). And we don’t have to watch all the time. I remind myself that I don’t have to click on every single article; I don’t have to read every word that comes out of the mouths of the debased people who are currently in power. They don’t deserve my attention. My son is almost two years old; he absorbs new words so quickly these days, repeating what he hears us say. If he were a bit older, would it be safe to watch the news together? Would I have to turn off the TV because the language is not appropriate for children? It’s not just about cursing; this is language that is meant to hurt and degrade other people. I wouldn’t expose my children to that language, so why do we keep tuning in? Let’s keep up with the news in a filtered way: listening for the truth, but not the ugliness. Let’s praise the journalists who don’t have the luxury of turning away once in a while for helping us navigate these waters. Let’s remind ourselves and our kids that if we want to function as a society, we need to treat each other with respect, to choose our words carefully, to think twice before lashing out at a stranger. We will survive this era if we draw closer to words that enrich our lives: the words of comedians and poets, of truth-seekers and singers. We can be so much better than what we see on TV.